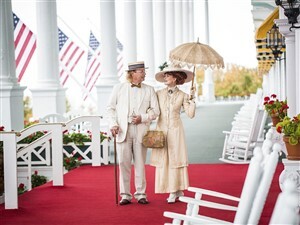 If you love the outdoors and have a taste for fun and adventure, come along for a spectacular summer holiday in West Virginia. 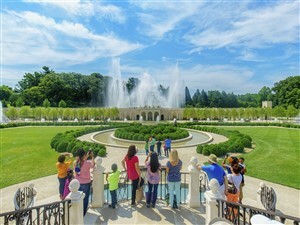 This five-day getaway is perfect for all ages, and features unforgettable sightseeing, attractions and activities. 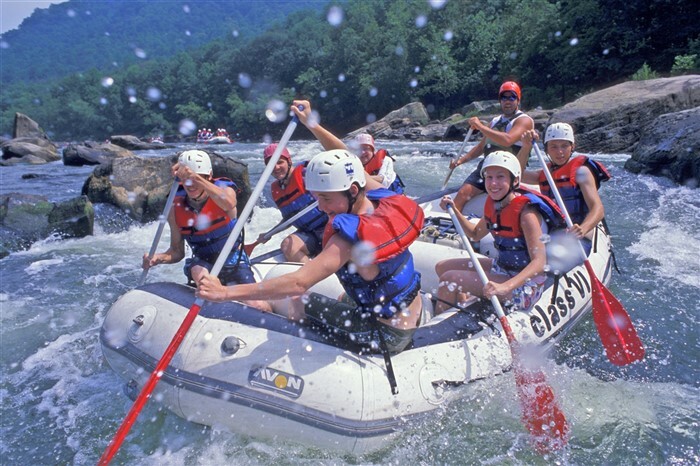 This getaway is part of our Adventure Series, and features a guided rafting tour on the Upper New River, optional zip lining, a visit to scenic Canyon Rim, a coal mine tour, a visit to Luray Caverns, sightseeing in Shenandoah National Park and much more. 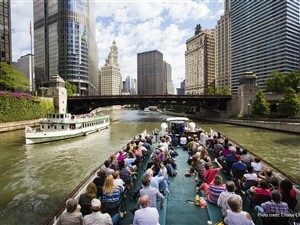 This exciting holiday will cross all sorts of things off your bucket list! 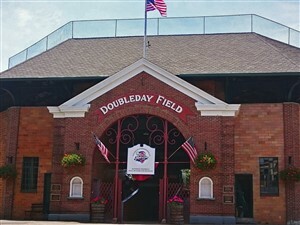 We board the coach and get to know our travelling companions as we sit back, relax and enjoy the scenery as we travel through the Allegheny Mountains, around Pittsburgh and into West Virginia. We spend our first night in Morgantown. A scenic drive takes us through the many state parks on our way to Fayetteville. 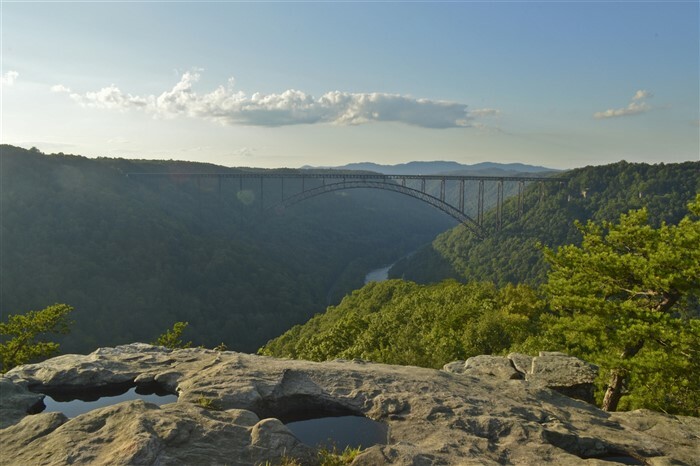 We stop at the Canyon Rim Visitor Center and then experience the breathtaking scenery of the dramatic V-shaped gorge from the coach as we cross the New River Gorge Bridge. An afternoon of excitement awaits, as we take on the Tree Tops, named by USA Today among the top zip line courses in the country, it is the longest and best canopy tour in West Virginia. It brings a combination of zip lines, cable bridges, and stationary tree platforms put together using natural surroundings. It will show us the local flora and fauna that are otherwise inaccessible. It is not a strenuous activity, but does require walking short distances and the ability to reach above your head. We then settle into our hotel for the next two nights in Beckley. Our day begins with another unique experience as we take a tour of the Exhibition Coal Mine in Beckley. 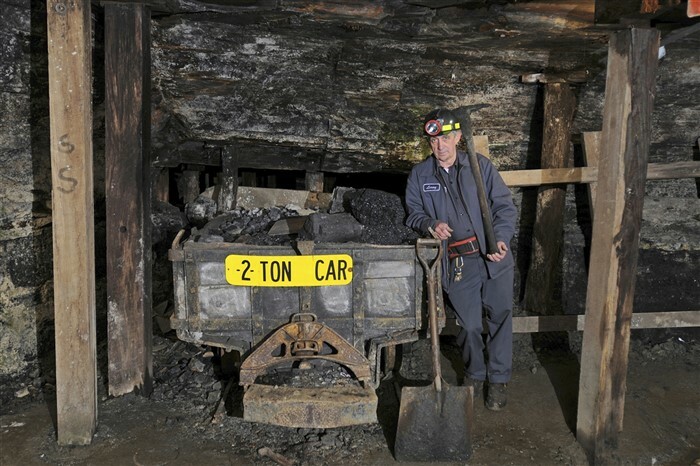 A veteran coal miner takes us underground aboard authentic “man cars” for a fascinating glimpse into the history of the mining industry in the region. Take some time to browse the coal museum, gift shop or fudgery, all located onsite. After an included lunch, we will participate in a gentle rafting tour on the breathtaking Upper New River. 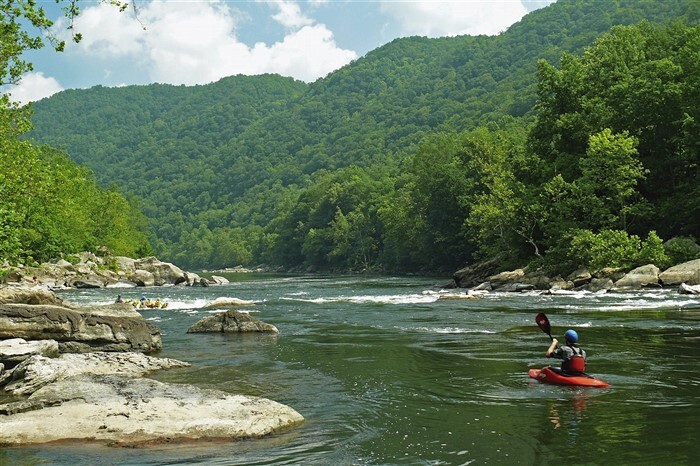 The waters on the Upper New River provide the perfect mix of splashy, playful waves with plenty of calm water to enjoy the outstanding natural scenery. Paddling is optional, so you’re free to sit back and enjoy the ride or grab a paddle and take part. 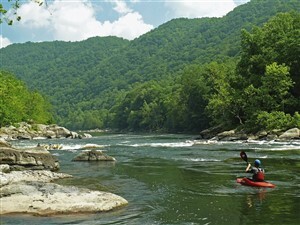 This is a safe and fun rafting excursion that is perfect for all ages and is an unforgettable way to experience the natural beauty of the New River Gorge. This evening, we enjoy a gourmet buffet dinner at Smokey’s on the Gorge before returning to our hotel for the night. This morning we travel into Virginia and drive the most scenic part of one of the most beautiful highways in the world, Skyline Drive. The vistas from the crest of the Appalachian Mountains are outstanding, as we travel through Shenandoah National Park and the Blue Ridge Mountains. 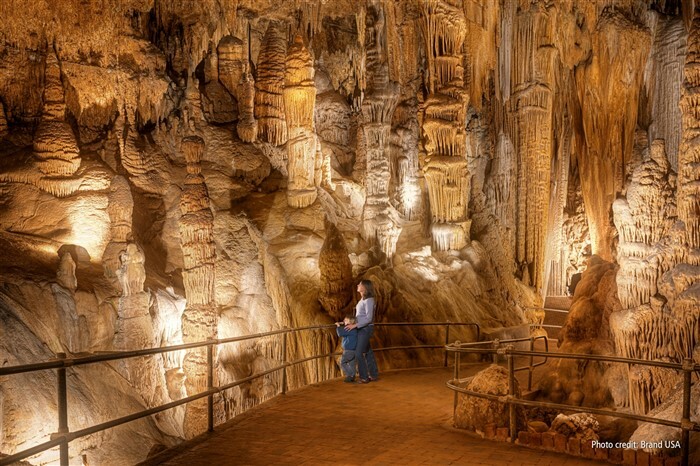 We visit impressive Luray Caverns this afternoon, one of America’s natural wonders. It has well-lit, paved walkways that lead us through cathedral-sized rooms with ceilings 10 stories high. Enormous chambers are filled with towering columns, shimmering draperies and crystal-clear pools. We then continue on to Breezewood, where we spend our last night together. Sit back and relax as we travel through Pennsylvania and into New York, arriving home early evening. The rafting trip on the Upper New River is a completely safe excursion, with over 100,000 people each year rafting safely on the river. You do NOT need to know how to swim, although you will get wet (we recommend bringing a bathing suit, towel, and full change of clothes). As a precaution, each passenger is provided with a life jacket. Paddling is optional, and it is appropriate to wear shorts, comfortable running or walking shoes, sunscreen, a light windbreaker and hat.